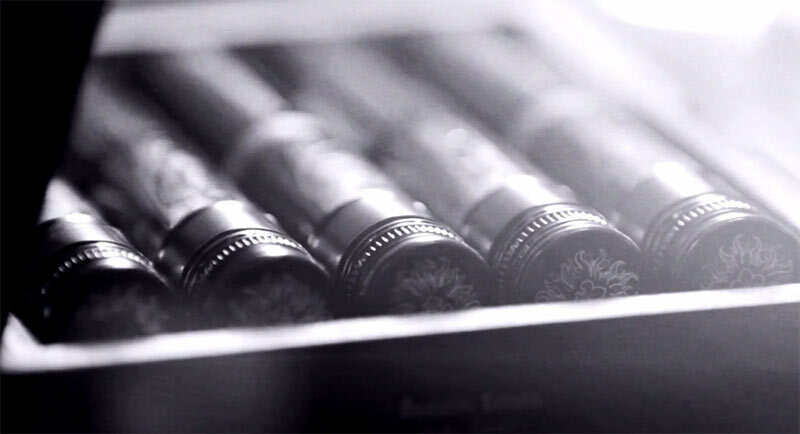 A few months back, I was contacted by Blason Louis to receive a pack of their wine flaçons. I really had no idea what they were talking about as a bottle for wine is bouteille in French so naturally, I said yes more out of curiosity than anything else. I feel that there have been a few companies popping up lately trying to take this high-end own brand to another level. Blason Louis is offering their wines in both bottle as well as what are essentially single-serving tubes of wine which is what I ended up receiving in the mail a short while ago. The packaging and branding is stupendous and you open the box, you’re presented with a sleek, elegant box of tubes ready to be sampled. In what I was sent, there were two tubes of Saint Émilion and two of Haut Médoc. No cellar names, no appellation labeling that I could immediately see, just the wines. For those new to wines or just unfamiliar with the Left and Right Bank of Bordeaux, it makes for a nice introduction as each is quite typical of what you find. The Saint Émilion is 100% Merlot and the Haut Médoc a blend of Cab Sauv and Merlot. It’d be a lot of fun for a couple or friends to get this in the mail, open it and learn a bit about wine. I have to say that while the overall presentation was impressive, the wines weren’t stand-out examples. Both wines seemed to me, to be a bit around mid-range in terms of quality levels and I’m not sure if that’s how the wines actually are of if it was an issue of the flaçon storage or perhaps some issue along the supply chain. It’s also unfortunate that they weren’t of the same vintage as that would have helped people to really understand how much variation there is from year to year. I’m of course curious to taste the full bottled versions to see if I’d have similar findings, but as it sits these samples are fun for those just starting out in wine, but for more advanced drinkers, the format doesn’t quite seem to work. Sorry that there are no prices listed, but it seems everyone received this as a promo to try out. Dark fruit, light, fresh plum, clay mineral notes, light touch of raisined heat, herbal crispness. Light on the palate, quite strident acidity and a lengthy finish with full, green tannins. Red fruit, graphite. More rich in the body, good freshness, lift and lingering finish with light chocolate notes. Soft and quite delicate tannins.